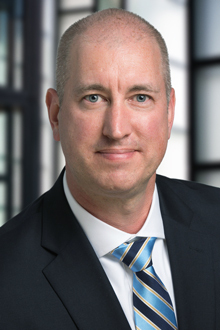 Portland, Oregon, October 3, 2018 – Lewis Brisbois is pleased to welcome Sean Driscoll to its Portland office as a partner in its Labor & Employment and Class Action & Mass Tort Practices. Mr. Driscoll brings a wealth of experience representing employers large and small in all aspects of employment litigation, including discrimination and harassment, retaliation and whistleblowing, and disability and leave law violations, as well as a wide-variety of wage & hour violations, including multi-plaintiff and class action lawsuits. He has practiced in federal and state courts, and before the EEOC and various state agencies in private and industry arbitrations. 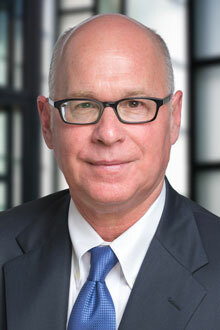 In addition to litigation work, Mr. Driscoll also counsels employers on how to remain compliant with state and federal employment laws, drafts confidentiality agreements and restrictive covenants, and frequently speaks to trade and employer groups on the full spectrum of employment law. “Lewis Brisbois has a strong employment practice across the nation already and I’m excited to be a part of it,” Mr. Driscoll commented. Mr. Driscoll is a graduate of Lewis and Clark Law School and is admitted in the State of Oregon, the U.S. District Court for the District of Oregon, and the U.S. Court of Appeals for the Ninth Circuit. View his full profile here. Established in 1979, Lewis Brisbois is a national, full-service law firm with more than 1,200 attorneys and offices in 43 cities and 26 states. Our national practice is sophisticated, multi-faceted, and well-versed in current legal trends, while our individual state practices provide vast resources and knowledge of procedural and legal nuances. For more information, please contact Director of Marketing Martin Hughes at Martin.Hughes@lewisbrisbois.com.